Hire Green Cleaners Team for the best carpet cleaning, carpet deodorisation, carpet stain removal & stain protection services at a reasonable price. 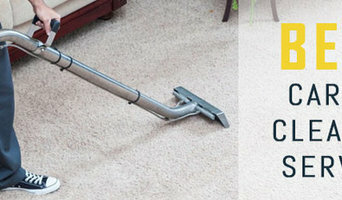 We have been providing our excellent carpet cleaning services in home or office. Our service providers are well trained and qualified in cleaning services. Our professionals are hard-working and try to give professional carpet cleaning services in your area. We offer carpet cleaning services, carpet cleaning gold coast, carpet dry Cleaning, carpet stain removal and professional carpet cleaning. You can call us +61 414 530 372 for professional reliable carpet cleaning services. Searching for Carpet Cleaning Gold Coast? Welcome to Peters Cleaning Services company. We are appreciated for our hard-staff and professional services. We have experts to clean your carpet with the best cleaning method. We at Peters Cleaning Services have been assisting our customers for more than twenty years. We are experienced, licensed, and authorized service providers, equipped with extremely great cleaning accessories. We offer carpet dry cleaning, carpet steam cleaning, carpet deodorizing, carpet sanitization, carpet stain removal, Professional Carpet Cleaning and many more services. We use harmless cleaning solution while providing our professional cleaning services. You can contact us online. Get free quotes on call +61 414 354 432. Either your carpet has got dirt or stains, Back 2 New Cleaning can help you with all kind of services like Stain Removal Service and Carpet Shampooing. We will ensure that you get Best Carpet Cleaners for your service of carpet cleaning. The stains and dirt which remain on the carpet for a long time, it is not easy to remove them. You can go for Professional Carpet Cleaning who are experts in this work and have already accomplished several cleaning services. So, you can rely on us and book our services online or call on 0414530372 . 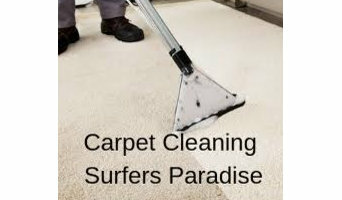 Carpet Cleaning Surfers Paradise also provide a discount on its different services. We will not let you down with our service. 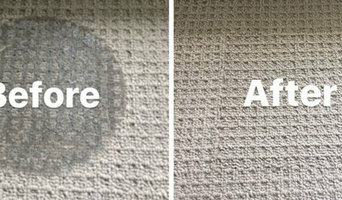 Spotless Carpet Steam Cleaning has been serving for more than 15 years and this work duration has given us a lot of experience in Carpet Cleaning Surfers Paradise. The experience can be proved by seeing our work effectiveness. Our services specifications include quick and reliable, safe and eco-friendly and fully insured. These specifications will add on to proper Carpet Restretching and Stain Removal services and satisfaction. The use of tested and verified cleaning solutions help us to maintain the quality of your carpets and satisfy with our services. So, you can hire us by calling on 0414530372 or book online. You are at Missmaid Carpet Cleaning services, our Carpet Cleaning Surfers Paradise has served in carpet cleaning for the decades and has gained enough experiences in Carpet Steam Cleaning, Carpet Stain Removal, as well as Carpet Mould Removal. Our professionals are equipped with modern tools and verified cleaning solutions. We have dedicated a team for stain and mould removal separately. Our cleaning solutions do not affect carpets colour or texture and make it clean as new. So, you can rely on our services and will book for carpet cleaning with us. You can book us online or make a call. 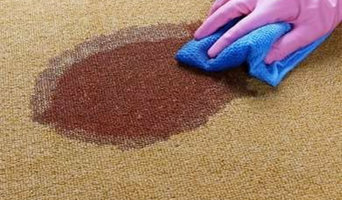 Welcome to OZ Clean Team and Carpet Cleaning Surfers Paradise where we offer the best and adepts Carpet Stain removal Service, Carpet Shampooing and many more things. Our Professional Carpet Cleaning will always be available for you in your service. 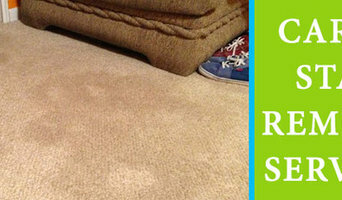 Our Best Carpet Cleaners know how to clean your dirty stained carpets easily and in good time and at a very low cost. And we do not let bother our customers about any particular date or time we are available for you at any time. We work for the whole week to give you the best solutions. And if there is an emergency then you do not have to worry about it our expert workers will be there for you whenever you need us. Hire us for the perfect solutions and call us on 0414530372 and we will clean for you all your dirty stained carpets in just a few hours. Suttons Skips are an affordable skip bin hire company based on the Gold Coast. We hire skip bins for commercial use, industrial use, and for residential use. • Skip Bin Hire • 2m³ Skip Bins • 4m³ Skip Bins • 6m³ Skip Bins • 8m³ Skip Bins • Rubbish Removal • Waste Disposal • Waste Recycle We will deliver and pick up the skip bin to your location anywhere on the Gold Coast. All our skip bins have wheel barrow access. We operate 6 days a week Monday to Friday 6:00am until 5:00pm and Saturday 7:00am until 11:30am. Call us on 0427 227 259 for bookings or enquires. The Removals Group is a family run removals business located on the Gold Coast. Brothers Ben and Daniel have over 25 years experience in the removalist industry, giving them the expertise to make your move a breeze! They’ll take care of everything from providing quality packing materials, to packing, storing your goods if required and unloading. Their services include: • Local and interstate removals • Piano removals • Pool table removals • Modular storage facilities • Providing moving boxes and other supplies. If you’re after a removalist service that goes above and beyond, call The Removals Group 07 5554 5003. Here at A Smooth Move Removals, Gold Coast, we understand that moving house can be a very stressful time for a lot of people which is why we make each and every move a “Smooth Move”. We specialise in; • Home removals • Office removals • Boxes & Materials • Storage service A Smooth Move Removals can also offer Boxes & Materials and a pre-packing & unpacking service should you not have the time to do so! With fast and efficient removal service and competitive rates, A Smooth Move Removals on the Gold Coast can meet all your moving needs. At Gold Class Carpet Cleaning, we aim towards ensuring world class quality carpet and tile cleaning services in a timely fashion. Our experienced, professional Gold Coast team have the expertise to flawlessly clean a variety of materials. We believe in establishing crystal clear, frank communication with our valued patrons. Our Gold Coast Services Include: • Carpet Cleaning • Upholstery Cleaning & Protection • Leather Cleaning • Mattress Cleaning • Rug Cleaning • Tile & Grout Cleaning & Sealing • Spot Cleaning & Stain Removal With us, it is about unsurpassed carpet and upholstery cleaning service at competitive prices! We are 100% Australian owned and operated business. Trade Digger Excavations specialise in a range of micro excavation and earthmoving services. We can also supply quality top soil. You can contact us for turf regeneration and prep work. • Excavating and Levelling • Turf Preparation • Concrete Preparation • Driveways Excavation • Under House Excavation • Small Rock Walls • Post Hole Boring • Small Tree Stump Removal • Plumbing Drainage • 5 m³ Tipper Truck • 1.7t Kubota Excavator • Husky 4 Bobcat • Top Soil Supply • Mulch Supply • Turf Supply • Rubbish Removal • Specials We travel anywhere on the Gold Coast and operate Monday to Friday between 7:00am and 5:00pm. Call us on 0421 865 814 for bookings or quotes. Provac Australia Pty Ltd is an industry leader in NDD Vacuum Excavation and Underground Service Locating, specialising in Government departments and civil construction. We can provide you with a complete solution for identifying underground infrastructure from start to finish and beyond. We are the only company legally certified to locate Optus in Queensland. We are a local Gold Coast based company servicing the Gold Coast, Brisbane, South Brisbane, Ipswich, and surrounding regions. Call 1300 734 772 to get free advice, proposals and tenders. Gutters Blocked is the perfect pick if you are looking for a renowned high pressure cleaning Gold Coast-based services. Having been in this business for years, today we are standing apart with a larger customer-base and more of positive words of mouth. Speaking of how advanced our techniques and equipment are, they are better than the remaining. Our cleaning is comprehensive and adequate. For immediate booking, call right now. What services does a cleaner and waste management professional provide? Whether you’re moving, renovating or spring cleaning your home, there’s a high chance you’ll find yourself with unwanted large furniture items and an excess of rubbish. Waste management professionals can provide skip-bin hire for household junk such as computers, mattresses and TVs, and can quickly and safely remove any materials from a demolition or construction site, such as bricks, timber and concrete. Many rubbish removalists will also reduce, reuse or recycle your garbage. Residential cleaners in Tweed Heads West, New South Wales can provide routine cleaning, deep cleaning and end of lease cleaning. A routine service typically includes general tidying up, wiping down surfaces, dusting, sweeping, mopping, vacuuming, window cleaning and toilet cleaning. Microwave and oven cleaning, laundry and the cleaning of outdoor areas are usually additional extras. You may not have the time in between packing up and moving house, but a housekeeping professional can also provide end of lease cleaning, which typically includes everything from carpet cleaning to oven cleaning. Find companies in Tweed Heads West, New South Wales that provide skip bin hire, cleaning or rubbish removal services on Houzz. Scroll through this page to find a domestic cleaner, rubbish removalist or furniture removalist in your area. Just enter your suburb at the top of this page to narrow your search. Get contact information or message professionals directly so you can ask about rates, and read customer reviews.